In the summer of 1969, as I was preparing to go to Woodstock, Peggi and her sister were in Sydney, Australia for the summer. Actually, I didn’t prepare for Woodstock at all. I gave Dave Mahoney 25 bucks so he could buy tickets from a local radio station but no one ever collected tickets when we got there. And I simply got in Joe Barrett’s family’s Corvair with what I had on my back. No sleeping bags or change of clothes, just a few tabs of LSD in my pocket. Peggi and her sister were bored. Their father had been transferred there from Detroit and they didn’t know anyone. They concocted a scheme to get on Australia’s version of the Dating Game. The tv show was called “Blind Date” and was hosted by Graham Webb. 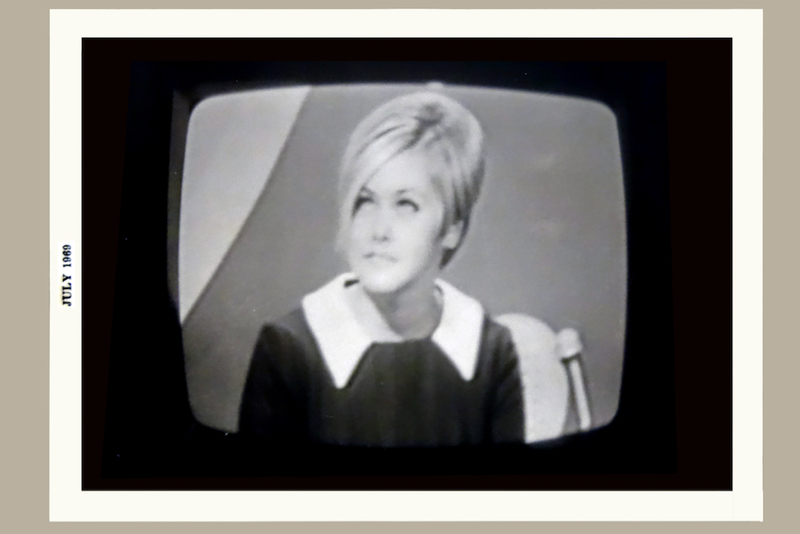 It ran from 1967 to 1970 on the 0-10 Network, now known as Network Ten. Peggi’s older sister sat in the audience and gave Peggi hand signals to ensure that she picked the cutest guy of the three. By some strange, small country coincidence the guy she picked had been an Australian exchange student at Peggi’s high school the year before. And his brother-in-law was working behind the scenes for the tv network. The guy was back in the states for their high school reunion and he brought three old photos, taken by his parents of the show as it was being broadcast. wow – how did that gem of a story stay buried for so long? Well, I knew that story but you don’t actually tell how you met her…and you made a leap from Woodstock to Australia. Your mention of Woodstock made me go to the Refrigerators back issues . Just nosing around the old Refrigerators and zeroed in on the Issue #23 Bad Acid Trips . Tried to find the Good Acid Trips issue . No luck . Should be one. Then saw that Sundance Books was an advertiser. The issue came out in 1993 , 10 years after I moved to Geneseo , home of Sundance. I knew those guys very well. I moved away 2 years ago. Then on the TV comes Cuomo saying it is only true justice to Legalize Marijuana. These seem to be non-sequiturs ….. but if you know me , you know they all tie together very closely. I think it is called Synchronicity . Many miles away . Oh , yeah. So how did you meet Peggo ? I am as confused as Martin !